A startup journey becomes easier if there are good stories that motivate along the way. 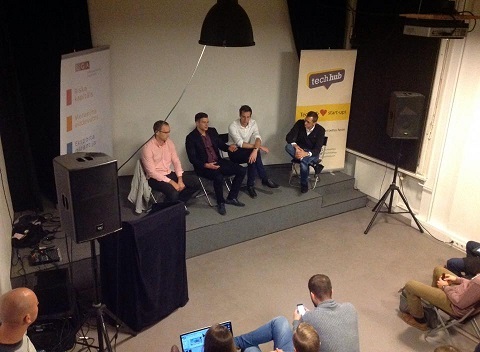 In a busy evening of October 9th we decided to offer that helping hand and invited Taxify and a funding panel, featuring Latvian VCs, to make the headlines on the TechHub Riga meetup stage. What did we learn? �Let�s have a startup� is a decision that creates us. This decision requires work, dedication and a clear understanding of what you want to do and achieve. Markus Villig, Taxify founder, explained he knew nothing about taxi apps but was willing to try out the idea � that included self-learning, talking to customers, taking a loan from parents, growing a team and reaching the ups and downs of the startup. Failures, present in all startups, hence are not a reason to give up. As for Tafixy, chances came, and they were used, smart decisions were made and slowly the market in Estonia was conquered. Now they have grown their team and expanded their market to Latvia. With Taxify dream and experience in the bag, they have managed to adapt and keep moving forward. Yet, the decision to have the startup is not only about retaining startup-belief. Funding panel that featured Latvian VCs Janis Janevics (Imprimatur Capital), Janis Skutelis (FlyCap) and Rudolfs Krese (ZGI Capital) showed another notion to that decision � ability to make money. Investments are put on a silver platter for you to use, but they are also a sign of a trust given to you by investors. Thus, investments demand a mutual respect � you research your business models and pitch them to investors who afterwards help you create a product value. They are a preparation � you invest your knowledge and get investors� knowledge and network in return. They are a constant dependence on owning your startup � it�s not solely a business plan that sells your idea, it�s your desire and capacity to change the world. Want to experience more? Come over to our next meetup in November, more information on that here! 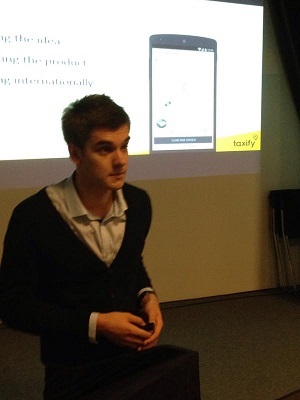 This meetup was supported by Latvian Guarantee Agency and took place at The Mill.